Bullying Stories – Hey U.G.L.Y. 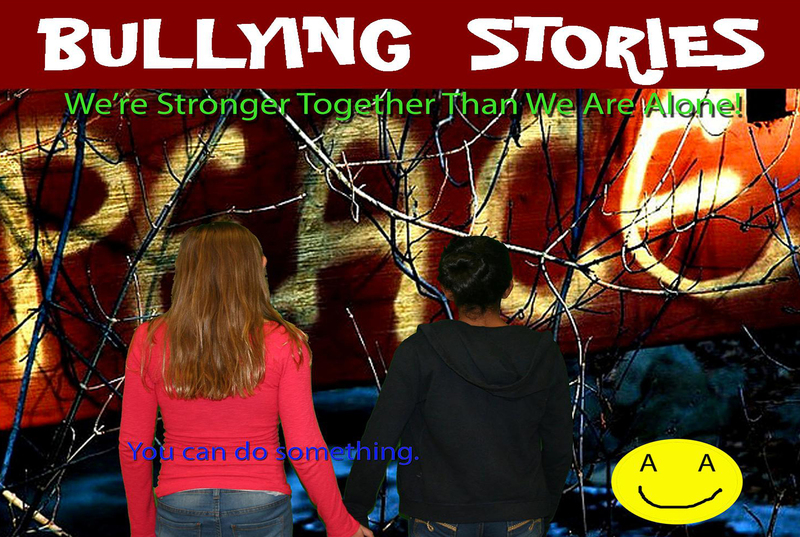 Have a good story about being bullied, helping someone being bullied or being a bully? 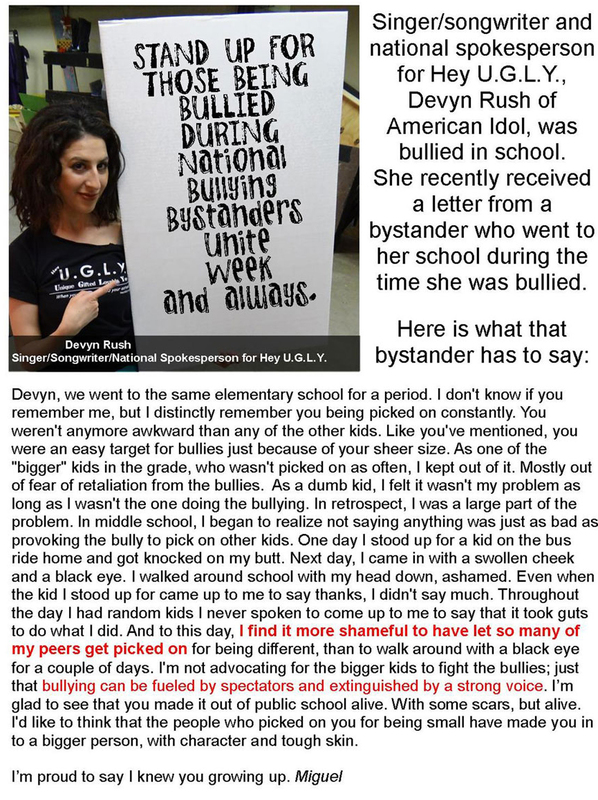 Send them to us at PreventBullyingNow@heyugly.org and, if we post it on our website, we’ll send you a free T-shirt. Your story could inspire someone who is going through the same situation and pain your went through. Your story could save a life! Here’s a great story. Pass it on to your friends.